cleansing weight loss supplements - ESI S.p.A.
Fucuslinea is a product line that consists of nutritional supplements that are associated with a low-calorie diet and physical activity. It stimulates the metabolism and helps reduce body weight. Thanks to its herbal ingredients, Fucuslinea offers several actions that work synergistically: pineapple and green tea give it diuretic and cleansing properties, citrus burns fat, soluble fiber reduces carbohydrate and lipid absorption, and help keep the body balanced. 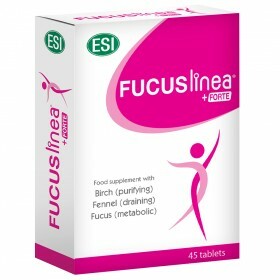 Fucuslinea supplements are available in pocket drinks, tablets or bottled drinks.